petition: Pledge to go dairy-free for 21 days! Pledge to go dairy-free for 21 days! Whether for ethical, environmental, or health reasons, an increasing number of people are forgoing dairy and all other animal products as part of a plant-based or vegan diet. Join the growing movement of those forgoing dairy. Take the pledge to go dairy free for 21 days. Cutting out dairy for 21 days can not only do a lot of good, and can be good for you too! The potential health benefits range from settling the stomach to clearing up acne. Did you know that dairy is one of the top eight food allergens in the U.S.? It's easier than ever to go dairy free because it no longer means missing out on the foods you love. 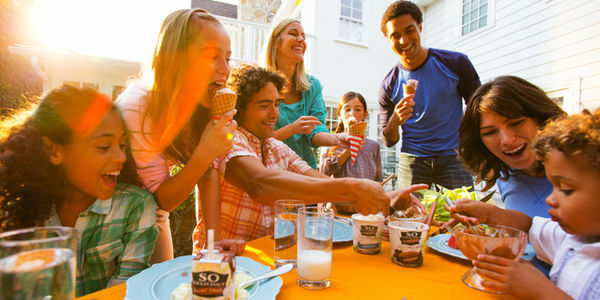 So Delicious® Dairy Free has been bringing joy to dairy-free lives for more than 25 years. Our coconutmilk, almondmilk, and cashewmilk beverages, yogurt alternatives, coffee creamers, and frozen desserts are downright delicious! Take the pledge to go dairy free for 21 days and when you sign up for alerts from So Delicious®, we will send you a free guide to dairy-free living!